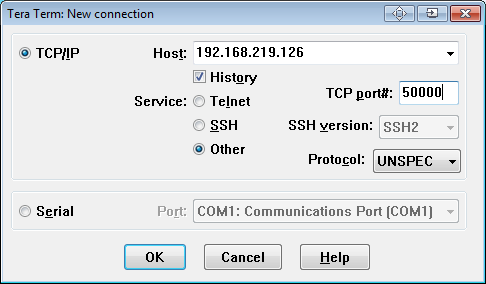 If Share GPS is a TCP/IP server, start teraterm with the IP address of the mobile and the port Share GPS is listening on. If the Share GPS connection is USB, set the hostname to "localhost" or "127.0.0.1" and use the PC port from the ADB command (first port). 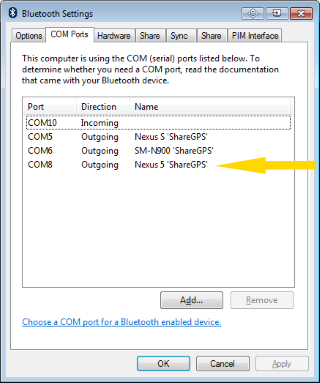 If Share GPS is setup for Bluetooth, check for the correct COM port in the Bluetooth settings. In Teraterm, setup for the COM port verified above. Share GPS should indicate connected and you should see NMEA data coming in. If Share GPS indicated connected, but no data is coming in, it's possible the mobile does not support NMEA. 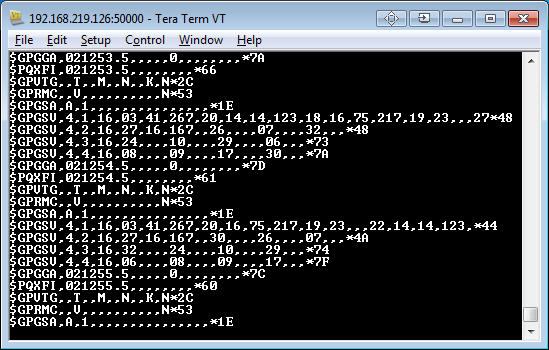 In that case, go into Share GPS setttings and select Create NMEA. Re-start the connection and see if that works. 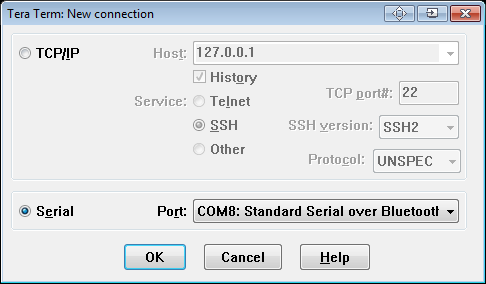 If Share GPS never indicates connected, there is an IP or COM port problem. Ensure you are using the right COM port in your Bluetooth settings for the device.